I don’t know why it’s so difficult for Americans to enjoy time off work to relax and rejuvenate without feeling guilty, but for the last 15 years I’ve found it necessary to escape the USA to a 3rd world country for this ‘indulgence’. When a last minute opportunity arose for a trip to Molokai and Maui, I decided to return to the islands I’d enjoyed with my family and rediscover the islands Aloha spirit. Dewitt Jones, a National Geographic photojournalist, inspirational speaker, filmmaker, creator of “Celebrate What’s Right with the World (http://www.celebratewhatsright.com), and long time friend of colleague Robert Holmes offered us his guest house and the right frame of mind to recharge our creative batteries. 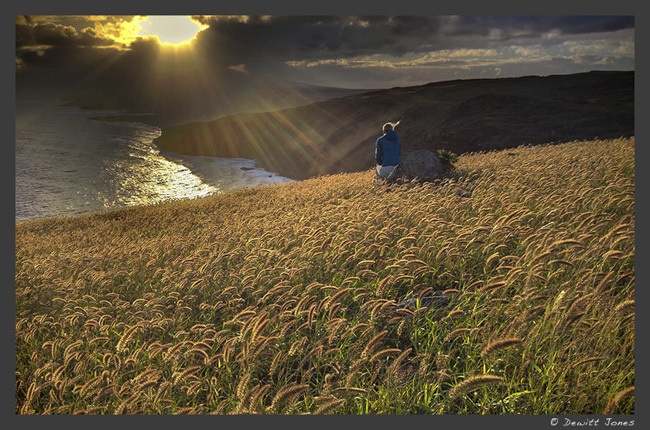 Evenings were spent on his porch watching sunset over the island, and at dawn we explored the extensive natural wilderness of the Molokai land trust conservation. I’ve been working as a professional photojournalist for over a decade yet I still face the same challenge wherever I travel. How can I create meaningful ‘sense of place’ photographs that convey the uniqueness of each location; the sure-footed agility of Himalalyan Sherpas who effortlessly passed me on the trail to Everest Base Camp, the surreal experience of swimming with jellyfish and drift diving with sharks in Palau, or the incredible sense of freedom floating down fresh untracked powder helicopter snowboarding in the Canadian Bugaboos? It’s a never-ending quest to create photographs that create the same emotional impact in the viewer as I experienced during these assignments. It takes time to allow a place to impress itself on you and to reflect on its significance afterwards. And time and attention are the two resources we lack most in today’s fast paced ADD culture. I was reminded of this challenge once again on a recent trip to Australia’s Northern Territory. 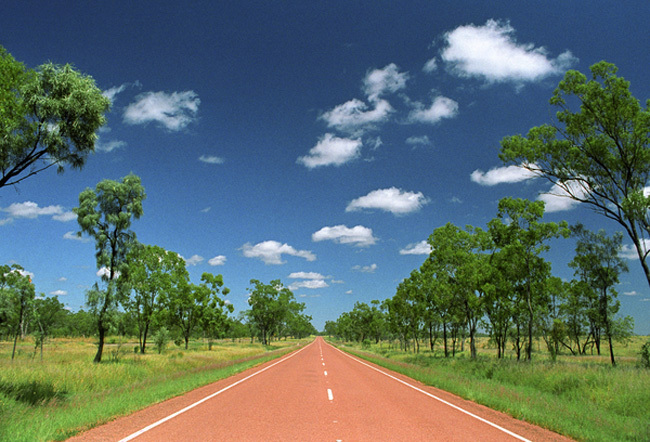 I traveled extensively throughout Australia in 2001, but monsoon rains stopped me visiting the top end of the Northern Territory. I hadn’t realized the importance of that trip at the time. The openness of the land, devoid of modern distractions and illusions, allowed me to clear my mind and remove the creative blocks to begin my career as a photojournalist. I now had my chance to return to the areas of Australia’s Northern Territory I’d missed, traveling with a group of journalists while testing the newest Canon camera. To complete my assignment I’d be required to shoot almost exclusively with this ‘prosumer’ model (the EOS D650 also known as the Rebel T4i in the United States) aimed at the market between consumer and professional; a camera that wasn’t yet released to the market so I wouldn’t have a user manual or an opportunity to test the gear beforehand. And this time instead of three months, I’d have just five days to explore.